(Kathmandu/Geneva) – The Government of Nepal today launched four National Sector Export Strategies and a report on non-tariff measures (NTM) at a ceremony in Kathmandu. The strategies – covering the coffee, handmade paper and paper products, large cardamom, and tea sectors – aim to help boost the export capacities of the country, ensure more value addition to these exports and facilitate greater trade in regional and global markets. The sector export strategies will serve as a blueprint for the Government, the private sector and the country's development partners to help the country’s small and medium-sized enterprises (SMEs) improve their competitiveness, move up the value change and ensure more inclusive trade that contributes to better quality jobs in Nepal. The launch in Kathmandu comes after a series of multi-stakeholder consultations led by the Ministry of Commerce in collaboration with the Trade Export Promotion Centre of Nepal. Throughout the process, the International Trade Centre (ITC) has provided technical and expert support. The National Sector Export Strategies highlights the competitiveness constraints in the sector while also identifying market opportunities to add more value to these products. Detailed plans of action provide guidance in the areas of production, processing, marketing and quality improvement with the aim of building sustainable value chains in these sectors. The four strategies identify supply-side constraints and opportunities for value addition, diversification and investment specific for each sector. They connect trade-specific issues to broader developmental dimensions, including each sector's potential impact on poverty reduction, employment generation and sustainable development. The four National Sector Export Strategies are also aligned to a business survey on non-tariff measures carried out by the International Trade Centre, which identifies key regulatory and procedural obstacles to trade faced by the Nepalese business community. Based on interviews with 577 companies in 20 different regions of Nepal, the survey finds that 50% of exporters are facing difficulties with a range of trade regulations and procedures. 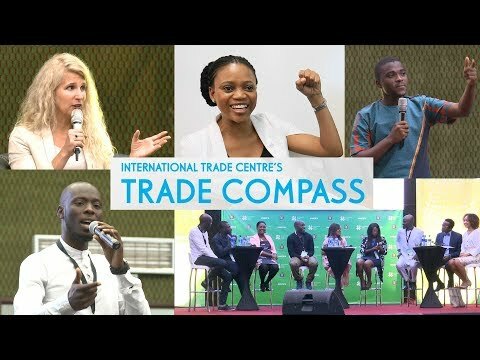 The International Trade Centre (ITC) assists small and medium-sized enterprises in developing and transition economies to become more competitive in global markets, thereby contributing to sustainable economic development within the frameworks of the Aid-for-Trade agenda and the Global Goals for Sustainable Development. ITC is the joint agency of the World Trade Organization and the United Nations.